How would you rate your experience with Electrolux ? Electrolux was founded in 1919 in Sweden when two companies, Lux AB and Svenska Elektron AB, merged to form one company. Svenska Elektron AB was a younger company which manufactured vacuum cleaners and parts. 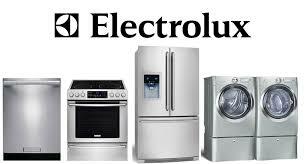 It is this division which has become the mainstay of Electrolux. The company makes a wide range of home appliances and cleaning products including washing machines, clothes dryers, vacuums, microwave ovens, refrigerators, dishwashers, and air conditioning units. In addition to the Electrolux name, the company markets products under the names Frigidaire, Eureka, Philco, Gibson, Tappan, and White-Westinghouse in the USA. In September 2003, the US Equal Employment Opportunity Commission resolved a complaint that Muslim workers at the St. Cloud, Minnesota, factory were not allowed a sufficient number of breaks to observe their daily prayers. Again in 2010 and 2011, complaints against the company were filed by Muslim workers at the plant inSt. Cloud that workers were not able to observe Ramadan. This complaint was resolved by the USEEOC. 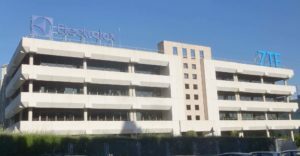 The complaint of 2011 stems from the former 30-minute breaks, which were agreed to in 2010, were later reduced to twenty minutes by Electrolux. This complaint was also resolved. 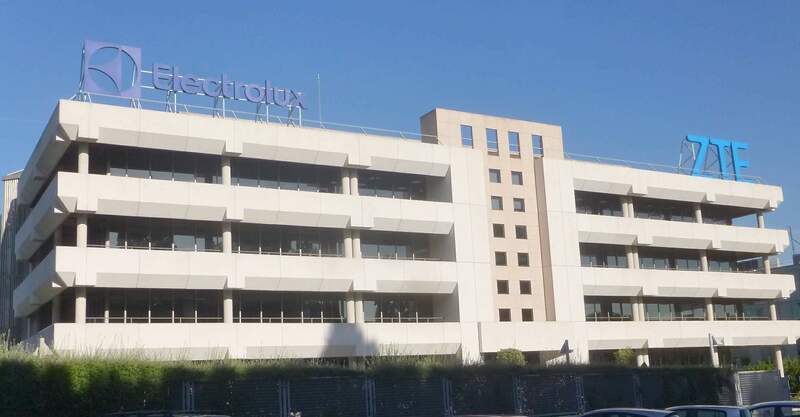 Electrolux has numerous factories in the United States, including Charlotte, North Carolina, Memphis, Tennessee, and Anderson, South Carolina. Headquarters in the US are located in Augusta, Georgia. Question 1: What is the phone number for Electrolux? Answer 1: The phone number for Electrolux is (706) 651-1751. Question 2: Who is the CEO of Electrolux? Answer 2: The CEO of Electrolux is Jonas Samuelson. 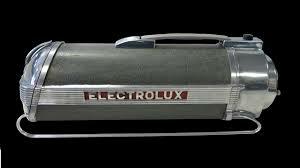 Question 3: Who founded Electrolux? Answer 3: Electrolux was founded by Merger of Two Companies in 1919. There’s no way for me to start this! I don’t know how to express my feelings & thoughts of this company I’m soooooooooooooooooooooooooooo freaking over them!!!! I’m extremely extremely dissatisfied with there service all around. I purchased a brand new 2018 mobile home six months ago when I moved into my new home appliances were either broken or didn’t work SMH I called Frigidaire to report all my issues finally 3-4 weeks a repair man showed up he fixed my stove now dishwasher is the next step. Same repair guy for this procedure he checked it out said it was broken needed parts that he didn’t have at the time okay he had to come back. Never heard from this guy again for weeks! When I would call never answered so I reached back out to Frigidaire about it they got in contact with the guy he made it seem like he was about to call me 🤔 anyways he comes back again not only to say he needed parts he didn’t have so now I’m like whoa wait you said that the last time & you came back again without parts SMH so now my dishwasher is turn down things torn apart it was a mess! A month went by heard nothing from guy this! I called to reply this & let them know I did not want to deal with another repair guy because I really shouldn’t be! I should have never gotten broken appliances in a 2018 never live in Home! I just wanted a new one as I should have. To this day my dishwasher is still sitting apart as this guy left it. After days weeks & months of speaking with Electrolux supervisors & csr they finally decided I would get my new dishwasher. Guess what 7 months later today I still have NOT received my damn dishwasher!!!! Now they are saying it’s the third party delivery company they have fault they can’t get in contact with me which is absolutely not true!!!! Every time cooperate has reach out to me regarding this situation they had always had success or a return call from me! At this point Im taking this situation to higher level!!!!!! This company is a joke!!!!!! Misleading, not professional, doesn’t care about they customers, almost like some slickters!!!!! I have recently purchased a home that included the installation of Electrolux appliances. I have been in the home for six months and now my refrigerator is malfunctioning (not dispensing water/ice/cooling refrigerator). I called Electrolux because it is still under warranty and they informed me that they will send a tech out for diagnostics. The tech arrived and informed me that this is a common issue with Electrolux products and that they will have to disconnect my refrigerator until a new module is ordered for it. It has been 3 weeks and I have not heard from the tech or Electrolux. My refrigerator is still inoperable. Therefore, I called Electrolux customer support today and they informed me that the tech that did the diagnostic did not input any information into there system. So now they will have to send a new tech out to do a new diagnostic. The earliest they could do was a week from today for an appointment. After the new diagnostic is performed they could then attempt to order whatever part is needed. I was informed that they are unsure when my refrigerator will be repaired because the module that is needed is not being manufactured. I have gone so long without a working refrigerator and who knows how much longer I will have to wait without a working refrigerator. Electrolux customer service is extremely poor!! I have paid so much for there appliance package to be installed and this is the way me and my family are being treated as customers!! The least Electrolux could do for me and my family should be to replace our non working refrigerator with a new working refrigerator. This does not make any sense to me and is extremely ridiculous!!!! I purchased a Frigidaire bottom refrigerator in Dec. 2017 and have had numerous service calls starting in Feb. 2018. It makes a noise that sounds like a sewing machine and I want Frigeradaire to replace it. They keep sending out service companies and they never hear the noise, I’ve recorded it and the service co. say yes it does sound like that, but they can’t get it do it. I want this unit REPLACED NOW. Tired of dealing with your company. My Frigidaire microwave/Exhaust which i purchased in November 2017 keeps blowing its internal fuse. The unit is still under warranty and the factory techs cannot seem to figure out the problem other than replacing the fuse at each visit. I am on my scheduled 4th visit by factory techs and the answer is always the same. The first factory tech never bothered to keep their appointment or call to cancel. The subsequent factory tech visits(another company) have been replacing the internal fuse and rescheduling for the next visit which always seem to be next week. What happened to pride of workmanship and follow up on incomplete repair service? My Corporate Office rep and local factory rep cannot seem to come to a understanding on what could be the issue as they have to have the factory tech discuss it with the another factory tech specialist in Corporate headquarters. Mean while, we have to suffer because of the incompetence or lack of knowledge of the Service Rep and Factory tech. So the saga continues and we are without a functioning Microwave unit for another week which brings this to the seventh week without a microwave or exhaust fan in the kitchen. Bravo Electrolux/Frigidaire ! Good way to lose another loyal customer of your products for 9 years. Purchased a fridge at Home Depot took two weeks to have it delivered and it was damaged so they took it back. Have not heard from you at all have no working fridge. My husband and I are not in the best health and need a fridge. Worst mistake we EVER made was buying an Electrolux/Frigidare Refrigerator!!! We have had a tech out 7 seven times and 4 supposed repairs have been made and still having the same problem. Tech was out yesterday and replaced the fill tube to the ice maker. Within 1 hour, the freezer was no longer freezing and I called the tech back. They stated I had to wait 24 hours for it to reset. I also spoke with April at Electrolux who stated I needed to give it 24 hours & she would call me in the morning. Still nothing from April and I have attempted to call her 8 times today. And, the fridge part has also stopped working. No one at Electrolux is willing to replace the refrigerator, even though the techs they send are unable to repair the problem. I now have a fridge and freezer that are not working and Electrolux is stating I have to wait 5 days for a tech to come out and look at it. Electrolux refuses to pay for any lost food. I have filed a complaint with the BBB, I will be contacting news outlets and posting on every blog imaginable about the poor quality appliances that Electrolux sells, but refuses to stand behind. This company could care less about trying to make things right with their customers. They only care about their bottom line and putting a Band-Aid over an issue, instead of actually replacing the crap product they sold us. Trying to reach CEO Alan Shaw regarding an Electrolux Icon Upright Freezer which has not worked for several months. Several attempts at repairs have been unsuccessful. Anyone here have a contact number for his office. This is the WORST service I have ever seen. Since Day #1 these appliances have been a pain. NEVER EVER EVER buy an Electrolux Appliance. Jeremy at Elite Appliance has not received the refrigerator. Here we are, August 2nd to September 7th. I cannot believe that any of you find this fulfillment of service acceptable.You should be ashamed. I wish you could pick up my refrigerator, give me a full refund and let me forget this horrible experience. Thanks again for your reply, and for the information. According to our records, that would be correct. The only difference would be that your extended warranty would not be effective until after the six month repair coverage letter period that I would be adding. Not much of a difference, just putting the coverages in a different order (same amount of time that you stated though). In other words, your extended warranty would not kick in until after the six months that I add. Again, if you need further assistance, or have any other questions, please let me know. By your comments, I’ll have a full year of warranty on the new refrigerator. After a year I will have a full year of extended warranty. Plus 6 additional months. Equaling 2 1/2 years of total warranty coverage on the new delivery. Correct? To further explain, you will get a new refrigerator with a one year warranty, plus your one year Extended Service Agreement. I would provide a repair coverage letter for an additional six months for functional issues (mechanical or electrical, not cosmetic issues). Again, we do sincerely apologize for all of the issues with repairing your refrigerator, and we hope to have this replaced for you within the next business week. Certain models of refrigerator (If large enough, such as yours) require servicing first per the warranty coverage, as this is more cost effective than replacement in the first instance. Since your refrigerator is in a non-repairable status, it qualifies for replacement, which we are working towards. I could go to Home Depot tonight and have the refrigerator tomorrow. Unfortunately I’ll be made to suffer through your inept process. I already have purchased a 1 year extended warranty. Please explain what your extension provides. And if the factory warranty begins new with the replacement. The Frigidaire behavior is unacceptable. Your letter gives me little comfort that I’ve done business with a competent company. After some research, I do apologize for the issues with your refrigerator, and the repair and replacement process. Our Corporate Back Office is currently working to get a replacement refrigerator for you through a local dealer. You should be contacted within the next two business days regarding the replacement. Please let me know once you do receive the replacement, as I would like to offer you a six month repair coverage letter (warranty extension letter) for your replacement model. It will extend coverage for your new refrigerator out six months past the standard one year. I would like to offer this to you due to all of your inconveniences. Please let me know if this is something that you would be interested in. I would be glad to help with that. If you need further assistance, or have any other questions, please let me know. I regret that I purchased a Frigidaire. I am not used to being treated so poorly. You may help by standing by your product or refunding my purchase cost. I regret to hear about the issues with your refrigerator, and I will be happy to assist you. I would be glad to research this and see how we can help. If you can please write back and verify your serial number and address, I would be glad to do so. If you have any other questions, or need further assistance, please let me know. Want to make sure Electrolux sees your comment or complaint?